Meet Annie, secondhand shopping queen. Annie’s colorful jacket immediately stood out to me on this gloomy day in Vienna. Her bright personality fits her authentic style — and the combination makes her a fashionista to watch! Annie bought this jacket at a secondhand shop in Berlin, but now that the ’90s are back, it doesn’t look dated in any way. The fabric has a wonderful sparkle to it which makes Annie stand out in any crowd. These old Nikes are also from Annie’s trip to Berlin. Aside from her bold jacket and hair color, her outfit is all black. 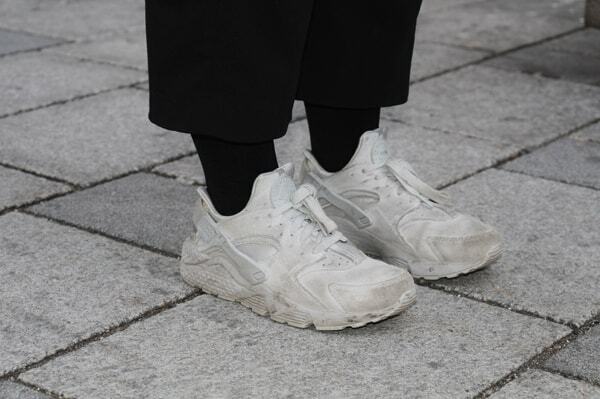 These beat-up sneakers pop against her dark pants and are a great throwback piece. I even love them with her black socks! 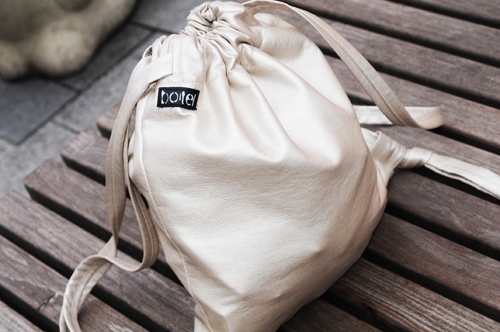 This wonderful bag is handmade! The designer behind this stunning piece is one of Annie’s closest friends. Not only is this bag practical, but it’s also a total eye-catcher. Is there anything better than a piece like this, made by someone you know? Do you also have a thing for oversized jackets? Do you love Annie’s look? Comment below and let us know!